A BJP leader has moved a Delhi court seeking registration of a sedition case against suspended Congress leader Mani Shankar Aiyar for hosting Pakistani officials at his residence. 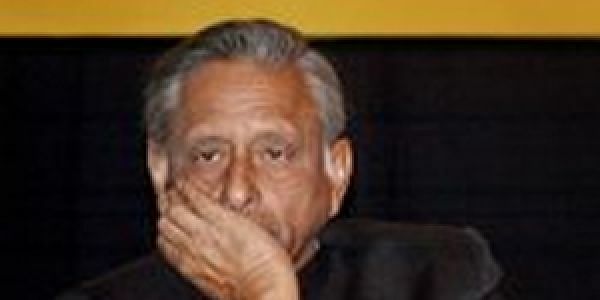 NEW DELHI: A BJP leader has moved a Delhi court seeking registration of a sedition case against suspended Congress leader Mani Shankar Aiyar for hosting Pakistani officials at his residence that posed a threat to national security. In his application before a magisterial court in Saket, Ajay Agrawal, a practising lawyer, claimed "derogatory" words were used against Prime Minister Narendra Modi at the meeting, which was also attended by former premier Manmohan Singh and ex-vice president Hamid Ansari. A court official said the matter has been listed for hearing on January 4. The petitioner has sought the court's direction to Delhi police to book Aiyar and others present under conspiracy and sedition charges, and investigate the matter. The plea by Agrawal, who contested the last Lok Sabha election against Sonia Gandhi from Rae Bareli, said the meeting was held at the south Delhi residence of Aiyar which was attended among others by Pakistan's High Commissioner and an ex-foreign minister of that country. He said the Ministry of External Affairs and the Home Ministry were not informed about the meeting despite India's strained relations with Pakistan. The petitioner said he had requested the National Investigation Agency (NIA) and the Delhi police for a probe but in vain.